For a love the lasts forever. Meet Meghan Coomes, a 32-year-old jewelry designer based in Charlotte, NC. In 2010, Coomes — who used to work in the the TV industry — found herself traveling often for work. To mitigate her homesickness, Coomes wanted a keepsake from her family that she could take with her on the road. "My family and I grew up hearing about my grandparents' torrid love affair," she told BuzzFeed. 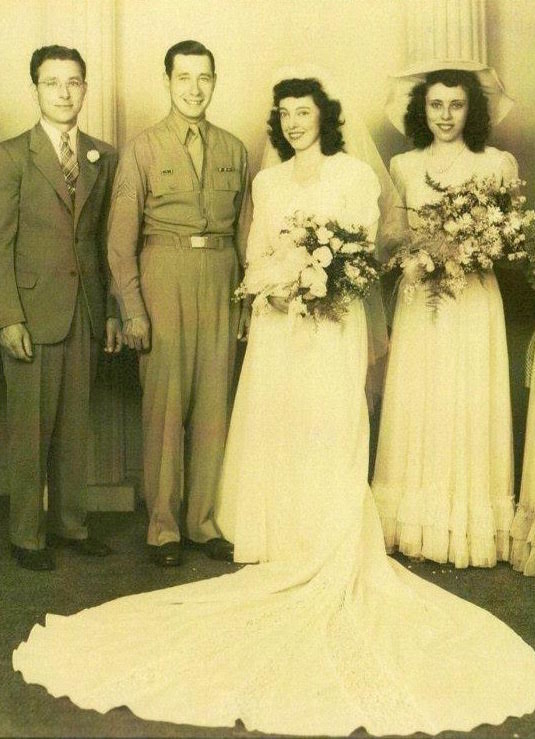 "They were long-distance dating during WWII, and they wrote each other daily while apart — three years, three months, and four days." Their correspondence resulted in hundreds of letters that Coomes' grandmother held onto for over 70 years. The letters had been kept in an old brown sack in Coomes' grandmother's house. "The longing they had for each other is palpable when reading their words," Coomes said. "She also kissed all of them with red and pink Revlon lipstick!" That's when Coomes decided that she wanted a way to immortalize the letters *and* get a wearable keepsake at the same time. "I asked my grandma if I could use one of their letters to make a bracelet, so that I always had my family with me," Coomes said. "She loved the idea. I used the back page of an original letter from New Year's Eve in 1943." Coomes also made a necklace and ring for her grandmother. Then, Coomes' jewelry company Forever Yours, Agnes was born. People loved the idea of jewelry made from real vintage love letters, and they also had the option to have jewelry made from their own personal letters. 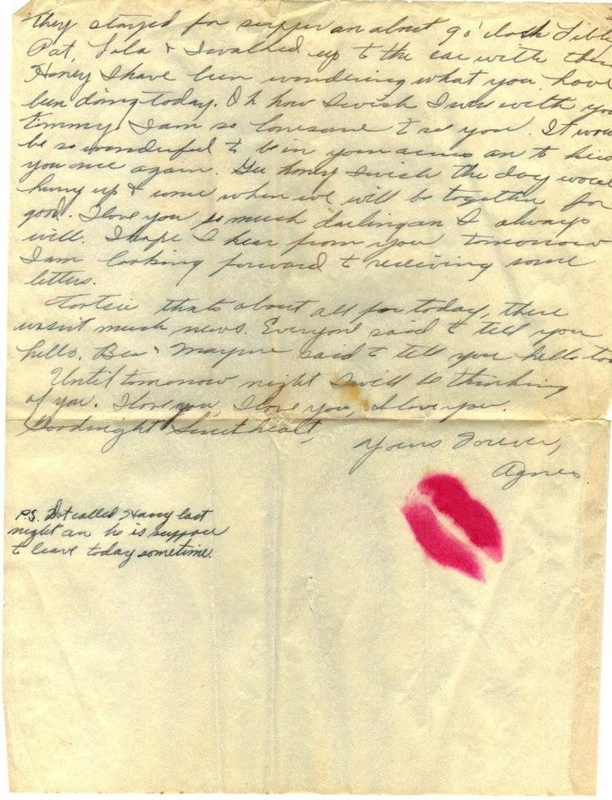 "My grandpa signed many of his letters: 'With oceans of love and a kiss on every wave.' She signed hers: 'Forever Yours, Agnes,' which inspired my business name," Coomes said. It takes Coomes roughly one day to make a piece of jewelry. She makes a copy of the letter she's using, and she adheres it to clear glass. Then, she adds glass fragments and stones to complete the look. Her collection includes earrings, rings, necklaces, bracelets, and cufflinks. Prices range from $50-100 with custom pieces incurring an additional $20 fee. And her most memorable pieces are custom orders. "A few years ago, a terminally ill teenager named Zach Sobiech wrote a song called 'Clouds' as a way to help is family cope with his fate. It made international news thanks to a documentary made about his story," Coomes said. After his death, Coomes turned his written song into a piece of jewelry for his mother. For Coomes, her goal is to preserve letter-writing and the memories attached to them. "I feel like one's handwriting is much like a fingerprint; it can't be perfectly reproduced, so it's incredibly sentimental to wear one's words," she said. You can check out all of her designs here.